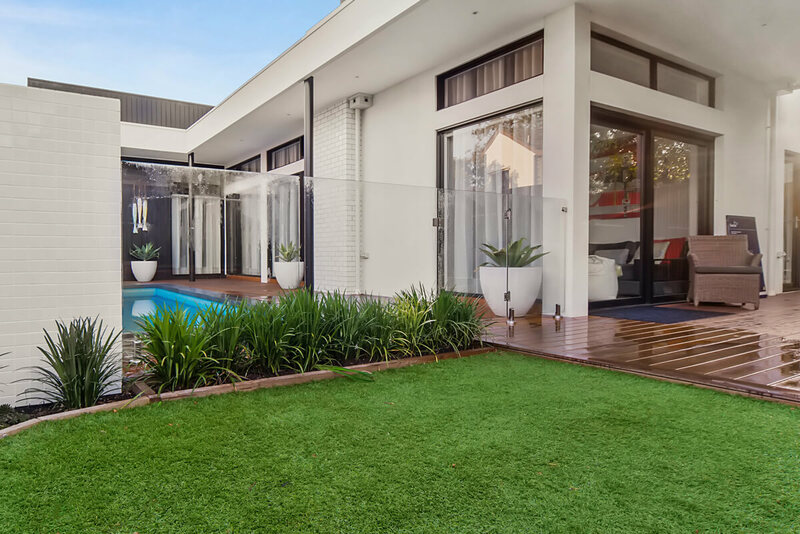 Here’s how to keep your synthetic grass looking its finest. Let’s face it: synthetic or not, every lawn is going to have materials fall on it – it’s outside. Whether they’re leaves, seeds, sticks or anything else that might fall from above, we recommend regularly cleaning materials off your grass. Using a brush or a rake is great because it refreshes the position of the blades at the same time, but cleaning by hand is just as good. Leaves become moist and allow moss to grow, which can impact drainage. So it’s about the function as much as looking fresh. As with anywhere around the home, it’s always good to clean up any spills as quickly as you can. Most spills will wash off straight away with a hose. Just be careful with greasy substances like cooking oil and sunscreen – they’re great for a summer BBQ, but not so good for your grass. While we’re on the topic of summer BBQs, any hot coals, charcoal, tongs or other barbecue instruments that land on a synthetic lawn will burn and damage the blades. No, we’re not kidding! Synthetic lawns are a great option for dry areas, but they still benefit from a bit of water here and there. A spray from the hose can help to remove any dried organic matter that has clung to the roots of the blades and improves drainage. Just remember that it may be slippery under foot until the water dries. Looking for more ideas? Check out our article on some of the unexpected uses of synthetic grass here.